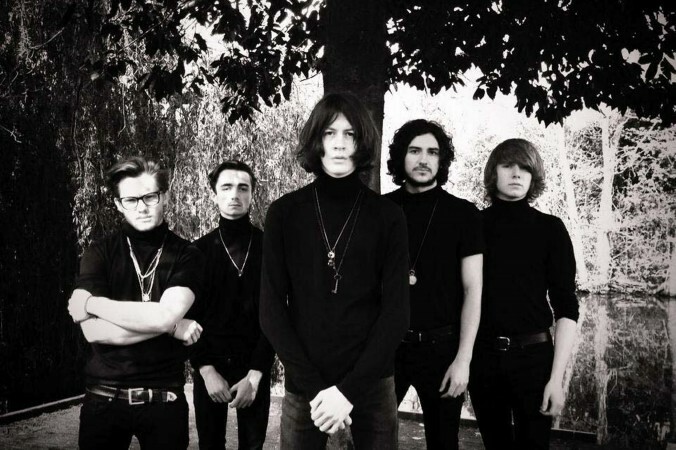 Continuing a pattern whereby retro, psychedelic rock bands have become somewhat de-rigueur over the last couple of years, the Stockport five piece are yet another band with their heads, turtlenecks and haircuts firmly steeped in the past. In the last 24 months, revivalist bands like Toy, Hookworm and Temples have all taken us back to the halcyon days of the 1960s where apparently one could score LSD from their doctor, all guns were rendered inactive by gladioli and mass orgies in fields were held with all the casual indifference of a car boot sale. While those aforementioned bands have no doubt faced the criticism of being derivative copycats, Blossoms provide further proof that it really doesn’t matter as long as the songwriting is decent. ‘Charlemagne’, with its synth lines and vaguely electronic feel, is actually as much eighties as it is sixties but what remains is evidence of an encouraging grasp of melodic pop-rock songwriting. For someone who was thrust into the public eye after losing out to some bloke called David Sneddon in the inaugural series of the short lived, harbinger-for-many-a-talent-show-abomination-to-follow, Fame Academy in 2002, the British R&B artist has enjoyed a steady, if unspectacular career. Smoother than a Galaxy chocolate effigy of Barry White, dunked in a pint of John Smith’s and served on Billy Corgan’s bonce, the London singer returns this month with sixth studio album The Letter. With its catchy chorus and some nice instrumental touches of brass, one can temporarily overlook the fact that RnB is generally about as rewarding as stubbing a toe on the headstone of a lost spouse. And the video provides another chance to get lost in the strange, smoky mists of Lamar’s peepers. His eyes don’t actually look like they belong to him, it’s like they’ve been extracted from the sockets of some transcendent seer older than time itself. Eyes that have witnessed the dawn of man, the epoch of civilisations and Bruce Forsyth’s very first televisual appearance. Elsewhere the Irish quartet can be seen running down the beach in slo-mo, a level of sand-based homoerotica not witnessed since Rocky and Apollo’s similar hijinks in the third Rocky film. They also enjoy some ebullient japes around a camp fire to the faintly ridiculous backing of a grandiose, choral singalong. To be far to vocalist Steve Garrigan, the song’s choruses see him execute a falsetto vocal so high-pitched that one is half expecting a pack of neighbouring dogs to suddenly charge into shot and start rutting his shinbones. Tagged blossoms, kodaline, lemar, scott hammond. Bookmark the permalink.